The outcasts are on the world stage again: the third Viva World Cup, for associations unaffiliated with FIFA, got underway this week. It’s being held in the northern Italian cities of Verona, Brescia and Varese. You might remember our post on the 2008 Viva World Cup hosted by Sápmi in Gällivare, Sweden won by Padania and featuring five teams. This was an improvement on the three who actually made it to participate in the inaugural 2006 Viva World Cup in Occitania, out of the six originally scheduled due to a conflict with the original intended host in Northern Cyprus (who eventually organised the ELF Cup to compete with the VWC). Originally planned to be played every two years, the success of the 2008 competition in raising awareness of the wannabe nations — the main purpose of the event — has encouraged the organisers, the N.F.-Board (New Football Federations-Board) to hold it every year. Six teams have entered the tournament this year, though one of the strongest non-FIFA teams, the Turkish Republic of Northern Cyprus, is again in dispute with the NF-Board and is sitting out for political reasons because of the participation of Iraqi Kurdistan, according to Steve Menary (author of the book Outcasts: The Lands That FIFA forgot). The hosts of the tournament, Padania is an alternative name for northern Italy and one adopted and popularised by the Lega Nord party since the 1990s as a proposed name for a breakaway northern Italian state. Lega Nord has helped the organisation of a Padanian team since 1998. They have been one of the more successful non-FIFA teams, winning all five of their matches in their inaugural appearance in the 2008 Viva World Cup. Two Italian Serie D players, Stefano Salandra and Giordan Ligarotti, finished as top scorers. Iraqi Kurdistan is an autonomous federal region of Iraq, bordering Turkey, Iran and Syria. Football in Kurdistan has progressed considerably since the end of Saddam’s regime. Some players, such as former captain Karwan Salih, have played for both the Iraqi national team and the Iraqi Kurdistan team. Kurdistan will be making their second appearance in the Viva World Cup, after failing to work out admission with the N.F.-Board to the 2006 tournament, and finishing fourth in 2008, winning only one of five games. For the 2009 tournament, most of the players come from the Kurdistan league, which ended its first season of play last month. The league was founded this year after complaints that Kurdistan teams were treated poorly in the nationwide Iraqi league. Iraqi Kurdistan was granted full membership of the N.F.-Board in December 2008, and will host the VIVA World Cup in 2011. Occitan is a traditional language in much of the southern half of France and parts of Italy and Spain, and Occitania is the name that has been given to the cultural region. The team was established in 2004 by the Associacion Occitana de Fotbòl, founded itself over a century ago. Occitania took third place in the first Viva World Cup in 2006. In 2008, they decided to participate in the Europeada instead of the VWC, a tournament for national minorities in Europe, where they reached the quarter-final. Their most recent game, against Monaco last November, ended in a 2-2 draw. You might know Samiland better by the name Lapland, home to the indigenous Sápmi people, numbering around 60,000 up in the Arctic Circle. Organised by the Sápmi Football Association, the Sápmi team won the 2006 Viva World Cup (scoring 42 goals in three games! ), and hosted the 2008 event, where they disappointingly finished third. They joined the NF-Board in 2003. Most Sápmi footballers play in Norway and a few in Sweden. Some well known Sápmi footballers have played for FIFA recognised Scandinavian countries, including Morten Gamst Pedersen for Norway. Provence, a region in the southeast of France, are one of the most recent affiliates of the NF-Board, joining in December 2008. They competed at the 2008 Viva World Cup, the region’s first representative games since 1921, managing to lose all four of their games. So far, they have just one win, beating Monaco last December 3-2, suggesting they might have turned a corner. Perhaps the most obscure of the entrants, Gozo — the second largest island in the Maltese archipelago, with a population of 31,000 — are making their Viva World Cup debut. Gozo has been governed by Malta throughout its history, apart from a brief period of autonomy granted by Napoleon at the end of the eighteenth century. It’s supposedly the island that Odysseus was imprisoned on for seven years as Calypso’s “prisoner of love” in Homer’s Odyssey. 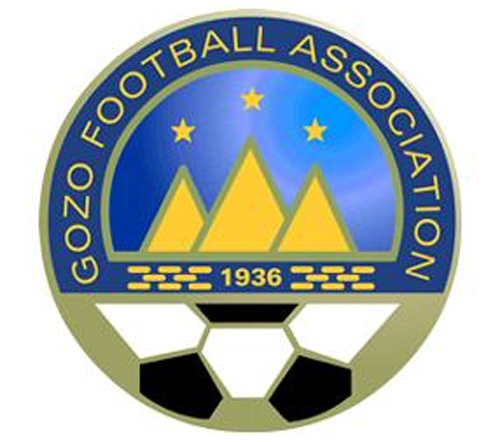 The Gozo Football Association was founded in 1936, and runs a league with two divisions along with several cup competitions. The Gozo F.A. is a provisional member of the NF-Board. A team run by the F.A., Gozo F.C., competes in the Maltese league second divison, playing at the 4,000 capacity Gozo Stadium. Most of Gozo’s players in the Viva World Cup have played for Gozo F.C. Update: Since I started writing this entry two days ago, several games have taken place in the tournament. On day one, Padania defeated Occitania 1-0 in Group A and Provence beat Gozo 3-1 in Group B. On day two, Kurdistan beat Occitania 4-0 in Group A and Sápmi lost 2-1 to Provence. For all the latest results, visit the Non-Fifa Football World blog. I’ll keep this page updated as results come in, and the competitive scores so far suggest progress in the world of non-Fifa associations. i m waiting it to start…..i luv it.. I love above picture,thank you sharing.